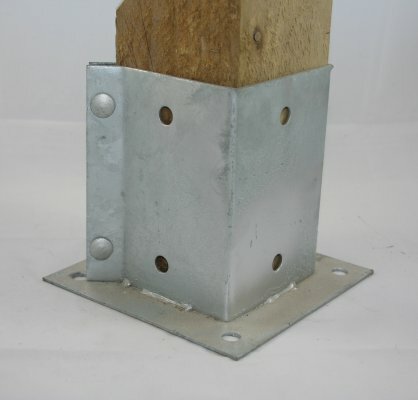 Our galvanised bolt down range is manufactured from heavy duty galvanised steel for maximum strength and durability. 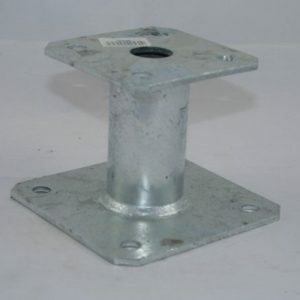 We recommend using a form of concrete multi-bolt to secure them to the substrate. 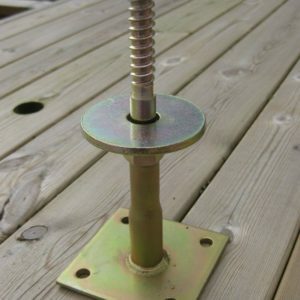 We also recommend fixing your timber posts with a carriage bolt or coach screw to maximise stability. 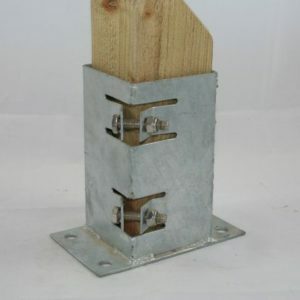 If you need to install a fence or boundary on an existing hard surface such as concrete or brick Bolt Down Post Supports are perfectly designed for this application. 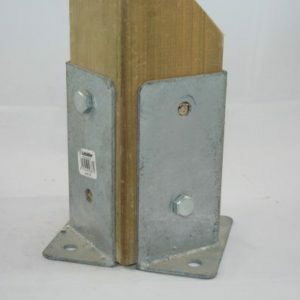 They can also be used to support decking, pergolas or carports. Flush fit bolt downs are available if there is restricted space or fitting to the top of a wall or against a wall.